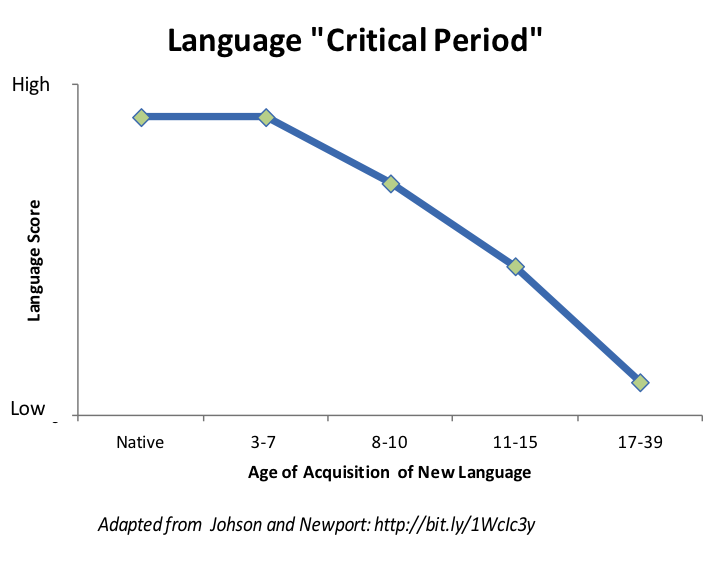 For those of us who have tried to learn a new language or sport during our adulthood, Early Stimulation will quickly make a lot of sense. Sure, it is never too late to learn something new, but it will take a massive effort on your side to make that foreign accent completely disappear or for that tennis swing to look as effortless as the one of your friends that learned to play early in life. Among other reasons, this is true for all of us because in the first years of life the brain is developing extremely rapidly and is also determining which connections to keep and which to eliminate. Repeated use makes connections stronger, while inactive connections become weaker or disappear. In other words, the brain will adapt to handle better any new skills and situations to which a baby is exposed. This doesn’t mean that you need to enroll your little one in tennis, mandarin, piano and math classes before he is one year old. It means that, if you believe the research behind early stimulation, there is plenty you can do to help him establish the foundations that will allow him to develop to his own potential these other skills later in life. Whichever ones he decides to pursue. If you for example, stimulate his coordination & equilibrium chances are that this will help him with any sport that he picks when he is older. Similarly, stimulating cognitive, social and sensory aspects of his development early in life will bring multiple benefits to other aspects of his life. Simply put, early stimulation looks like playing with your baby, but it is smart play with a twist. For example, if during bath time you give a 1-year old a kitchen strainer and start teaching him to fish his bath toys, at some point when he gets the idea and engages, not only will he start having a blast, but he will be honing his fine motor skills and eye-hand coordination. You didn’t even spend any additional time doing this, you would have still bath your baby, but you got more out of it for him. Babies get plenty of stimulation just by exploring their surroundings, therefore you are likely to see benefits just by investing limited amounts of time doing it, say 30-60 mins throughout the day. Not only early stimulation will bring plenty of lifelong benefits to your child, but will also provide an opportunity for you to spend very high quality time with him during his first months of life. If you are interested in learning more, there is plenty of literature, local baby gyms and of course you can download BabySparks, if you are interested in doing some of this yourself.